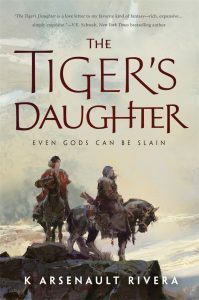 Huge, huge congratulations to K Arsenault Rivera whose THE TIGER’S DAUGHTER won, “The Waterfall Award for Paul Weimer’s Favorite Book of the Year“! 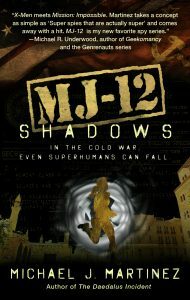 “MJ-12: Shadows by Mike Martinez is the sequel to his MJ-12: Inception. In a world (hear that in movie-guy voice) where mysterious objects at the end of WWII have imbued people with out-and-out superpowers, what do you do with such individuals?